Also known as hyper-filtration due to efficiency rates as high as 99% particulate removal, reverse osmosis is preferred in many purification processes. 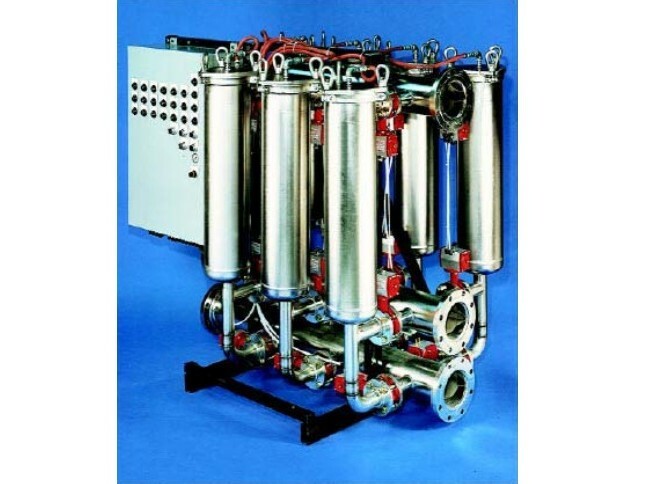 Reverse osmosis water filters are compact liquid filters used in industries that include, but are not limited to, electronics, research and science laboratories, sanitation, medical, biopharmaceutical, automotive, manufacturing, water treatment, agriculture, food and chemical processing and semiconductor. They are used in the processing of both input and exhaust water to ensure efficient processing and environmental friendliness. As reverse osmosis does not require the use of chemicals or other additives, it is also safe to use and cost effective in the majority of industrial water filter applications. 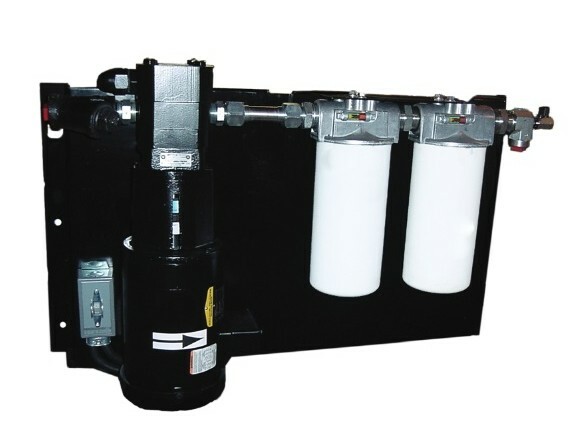 Large scale reverse osmosis filter membranes, however, may become clogged with excessive use and must be cleaned or replaced regularly to ensure optimal functionality. Backwashing, process flow disruption and diafiltration all offer automatic in-place cleaning, though filters may also be manually removed, washed and sterilized in an autoclave as needed. Additional features common for commercial and industrial reverse osmosis systems include strainers, pressure vessels, centrifugal and pressure-booster pumps, sediment and carbon filters, pressure and temperature gauges as well as pH monitors, all of which serve to enhance purification capabilities. To achieve maximum particulate removal, reverse osmosis water filters are incorporated into a multi-stage liquid filtration process. Water is first forced through a pre-filter that removes large particulates preventing them from clogging the finer membranes downstream. After this point the water moves through a series of membranes, each made of aromatic polyamides or cellulose acetate. The films are located in short succession with progressively smaller pore sizes for increased precision. The clarified water molecules are small enough to pass through the matrix pores while excess particulates are not permitted. Fully integrated reverse osmosis water filtration systems such as these remove contaminants such as minerals, bacteria, viruses, lead, chlorine, pathogens and other micro particles and organisms. The composition and total dissolved solids within the water must be considered when selecting a membrane of the proper porosity. In addition to porosity there are several considerations integral to the success of filtration. Effectiveness, absorption, flow and binding should be considered as well as the frame or holder design. Reverse osmosis water filters are becoming increasingly popular as they remove the possibility of filter contamination due to shedding particles or out-gassing, which occurs in other fibrous filters. Although most commonly used for the clarification and treatment of water, reverse osmosis filters can be used to remove solids from a number of other liquid process streams, such as ethanol and glycol. Reverse Osmosis Water Filters Reverse osmosis water filters use pressure to force water through thin, microporous films or sheets in order to trap or retain unwanted particulate impurities and dissolved solids.